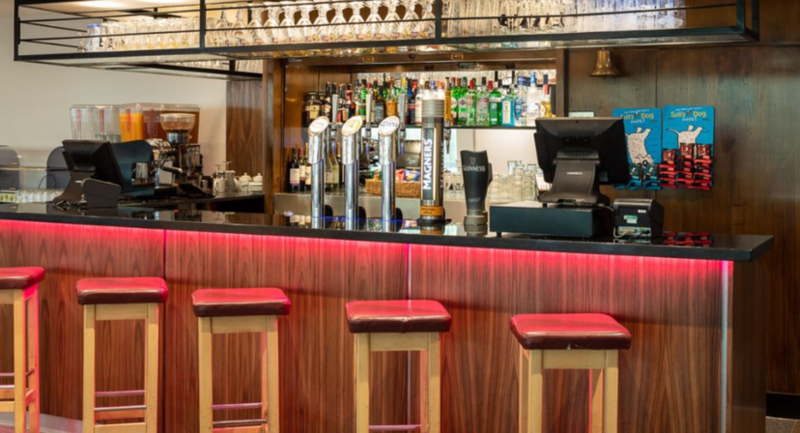 St Giles Heathrow hotel in Feltham, Hounslow welcomes you to cozy, spacious accommodations and in-house facilities, including 24-hour reception, concierge service, Free WiFi, on-site car park, fitness centre, and our gourmet restaurant, Il Grasso, serving breakfast, lunch, and dinner. 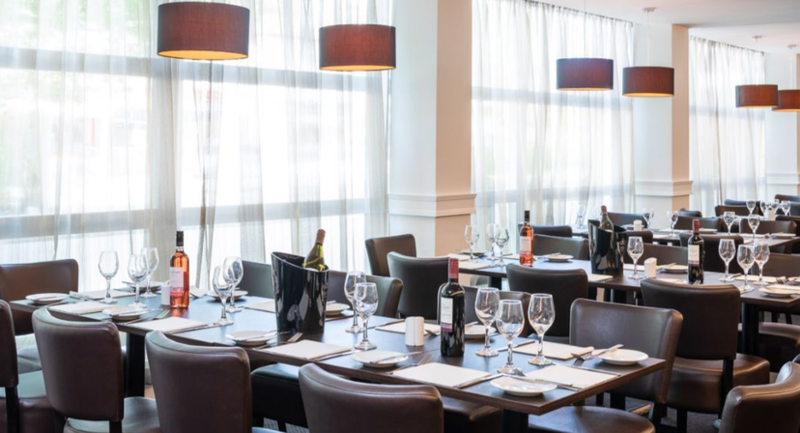 Enjoy convenient access to Heathrow Airport or Central London, as our hotel is 10 minutes from Heathrow and opposite Feltham Rail Station (25 minutes on train to Central London or Windsor). The hotel is also a 10-minute drive to Twickenham Stadium and Kempton Park Racecourse, and a 20-minute drive to Kew Gardens. Legoland is 30 minutes’ drive away. All our rooms and suites offer air conditioning and soundproof windows and feature amenities including flat-screen TVs with digital channels and coffee makers. 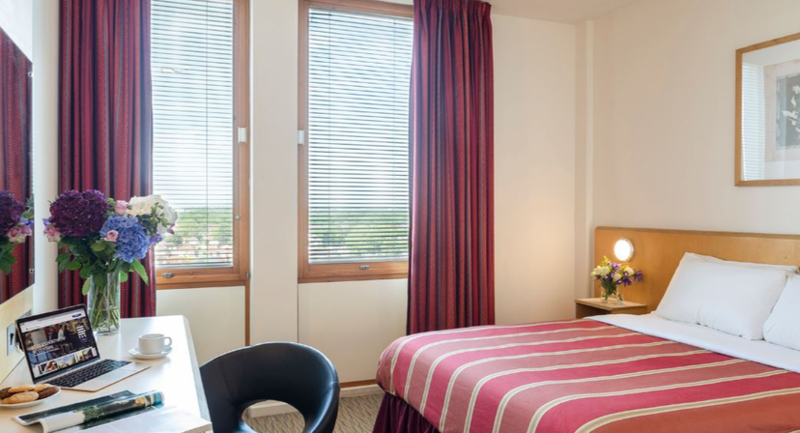 St Giles Heathrow is your ideal hotel in Feltham, Hounslow whether your stay is for a night, a week or even longer, and is for business, leisure, or a blend of both. 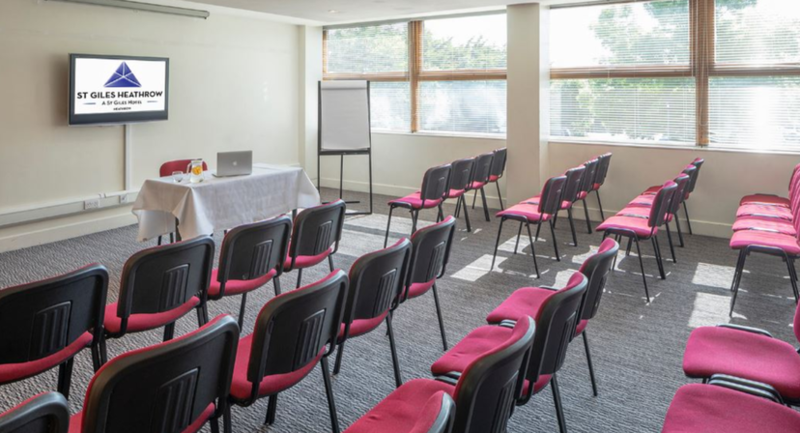 Conveniently located just over 10 minutes drive from Heathrow Airport, St Giles Heathrow hotel features conference and training spaces that are situated on the first floor of the hotel. With our ten flexible suites, delegates benefit from a peaceful environment and natural light, both very conducive to successful presentations, training days, board room planning sessions or exhibitions. Each meeting room has the benefit of air-conditioning. 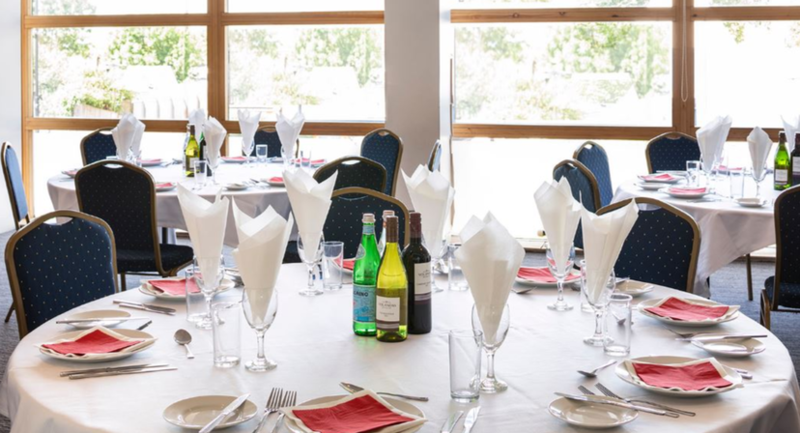 If you are looking for a conference hotel near Heathrow, wedding venue in West London, or somewhere to hold an exhibition, look no further than the St Giles Heathrow hotel —you can be guaranteed excellent value and an expert team at your service to help you organize your meetings and conferences for anywhere between 2 and 120 guests.